No real impact on the flat over the summer, but returned to winning ways when back over hurdles in October. Surprised all when beating Samcro in the WKD Hurdle, but form does not look as strong as it once was, with Buveur D'Air dismissing the latter in the Fighting Fifth latest and will surely come on from that himself. Worthy candidate, but more required here. Never nearer in all five hurdles contests this calendar year, and looks way off the pace here. Only beat three home in a massive field in the Pertemps Final at Cheltenham, and has failed to produce anything inspiring since. Big outsider on that basis. The standout hurdler of his generation looks to record back-to-back wins in this race for a trainer absolutely flying of late. Unbeaten in all bar-one of his twelve hurdle races and looks very hard to stop here, having returned in scintillating fashion in the fighting Fifth - beating arguably his closest pursuer in the division; Samcro. Many people's best bet of the race in the WO market, having led all the way to victory in a Listed contest at Newbury latest. It was a really smart display from the 6yo who beat his rivals one-by-one from the front end, and will sure to make some sort of challenge to the dual champion hurdler. 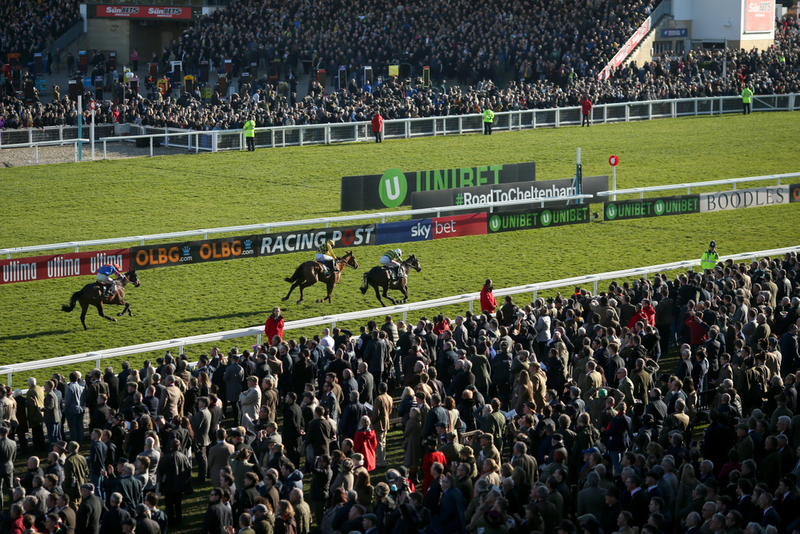 If The Cap Fits could be another worthy contender, after his most recent success at Ascot in the Coral Hurdle. Sadly lost his unbeaten hurdles run on his return in the Elite Hurdle at Wincanton, but definitely came on from that to beat some talented rivals at the Berkshire venue. A winner on this card twelve months ago, and sure to go close. Creditable hurdler, who also has experience on the flat and over fences, but applying his trade over timber these days, and was disappointing when last seen in the International Hurdle last week. He is better than that, and has some good form to show from November, with three placed finishes. Was last seen here finishing seven lengths down to Verdana Blue who he comes up against here, and much work to do. A course and a distance winner, Stowaway Magic arrives here having raced over fences on his three most previous racecourse experiences. Switched back to hurdles to seek a change in fortunes, but a tough ask against the best around here. Nicky Henderson also trains the only mare in the field, who has been very active this term. She returned here to beat Old Guard in a Listed contest, before collecting Grade 2 honours at Wincanton. Had excuses at Cheltenham on latest hurdles run, and has taken advantage of a low flat mark on the all-weather recently too. Fit and sharp, and deserves her place here.